Countries mentioned in the terms and services of the website. I’ve always been passionate about technology and economics, specifically the Austrian school of economics, that's what led me to bitcoin and cryptocurrencies in 2013. 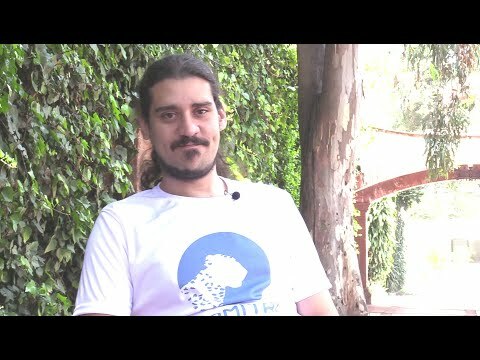 As one of the first users of this technology in Mexico and one of the first speakers I witnessed the process of blockchain since have been exciting, unexpected and amazing, I met the most brilliant and wonderful people thanks to this, but there is something missing for cryptocurrencies to be recognized as currency by economics: adoption. Cryptocurrencies need to become part of everyday's life, where they can spend anywhere and that can only happen if we build the tools and the ecosystem today. We founded Domitai after realizing the need for a different kind of exchange. Our vision from the beginning was to create a platform focused on retailers, aside from trading, where businesses can find a financial solution to all their needs in one place. Domitai Cryptocurrency Exchange started to develop in June 2017 and was constituted as a company in México in January 2018. Since August 2018 we have been testing our beta. We work hard in building trust and transparency with our customers by developing the best platform. Together we can push this technology and the world forward. Legal constitution as company in México. Platform Alpha Release and test with users. Development of our POS (Point of Sale). 20 supported assets and 40 markets. Development of our Mobile App. Payment processor for basic utilities. End of the token sale and domi markets opening.